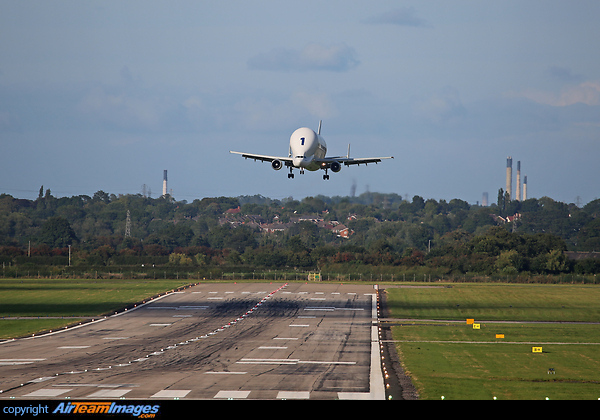 The Beluga, or Super Transporter is a rebuilt version of the A300, with a new outsize fuselage used to carry components of Airbus aircraft between the factories around Europe. 2 x General Electric CF6 (41500 - 69800 lbf) turbofan engines. Uses the CF6-80C2A8 with 59000lb thrust.